Let's support the Big Hug around Jeruselum on 24th June 2008. For those of us in Australia we will need to gather on the evening of the 24th June for the closest time connection. Contact The Big Hug for your area of the world, or join us at LUXOR Light if you are in Perth, Western Australia. 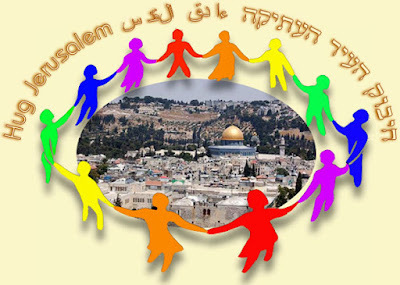 We will gather on 24th June at 7:00 pm for our closest time to link with the main group in Jeruselum.